Posted on 03/19/2018 by Mickey McCarter	in Live Review and tagged alt-country, Bottle Rockets, Marshall Crenshaw, St. Louis, The Birchmere. Alt-country heroes the Bottle Rockets return to The Birchmere with their best touring partner, alt-rock troubadour Marshall Crenshaw, for a highly anticipated show at The Birchmere on Friday, March 30. 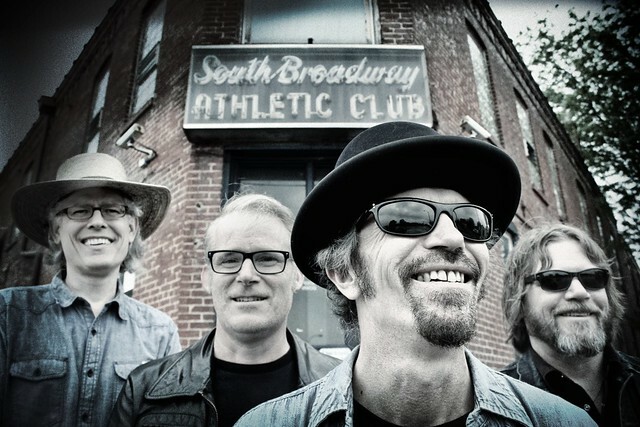 Consisting of founding members Brian Henneman (guitar, vocals) and Mark Ortmann (drums) alongside John Horton (guitar) and Keith Voegele (bass), the Bottle Rockets most recently released South Broadway Athletic Club, their 12th studio album in 2015. It was their first album fully recorded in their hometown of St. Louis, Missouri, where they worked at Sawhorse Studios with producer Eric “Roscoe” Ambel (of Joan Jett & the Blackhearts, The Del-Lords, The Yayhoos). “More than two decades on from the Bottle Rockets’ debut album, Brian Henneman is still the best and most articulate working stiff in rock ‘n roll, a songwriter who can speak for the regular guy who punches a time clock with greater honesty and understanding than practically anyone who professes to be ‘The Voice of the People,’” says AllMusic of the band.